Of course, more interest translates into new customers. But, as it stands, there are a lot of obstacles to shopping for marijuana products. 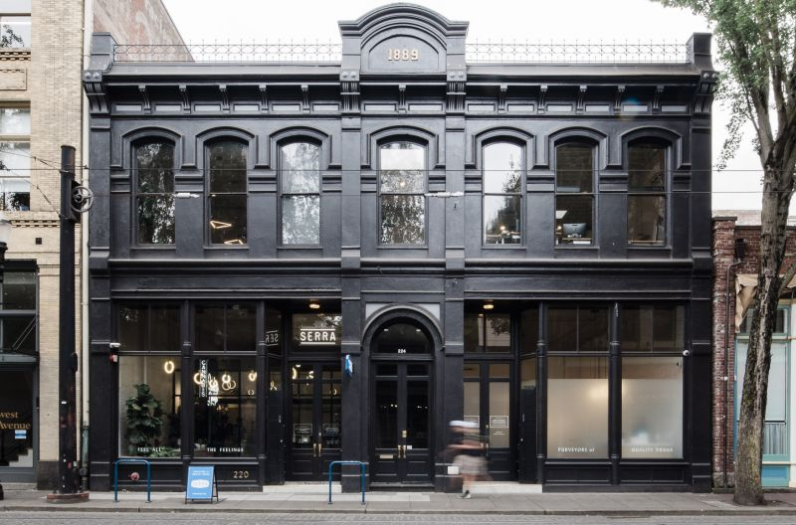 First, the typical format of a dispensary is one customer at a time from a long queue (think: like a deli) leading some to feel rushed and not allowing for a lot of browsing time. Second, in many parts of the world and even in the U.S., the idea of consuming cannabis is still taboo leading some to feel shame. 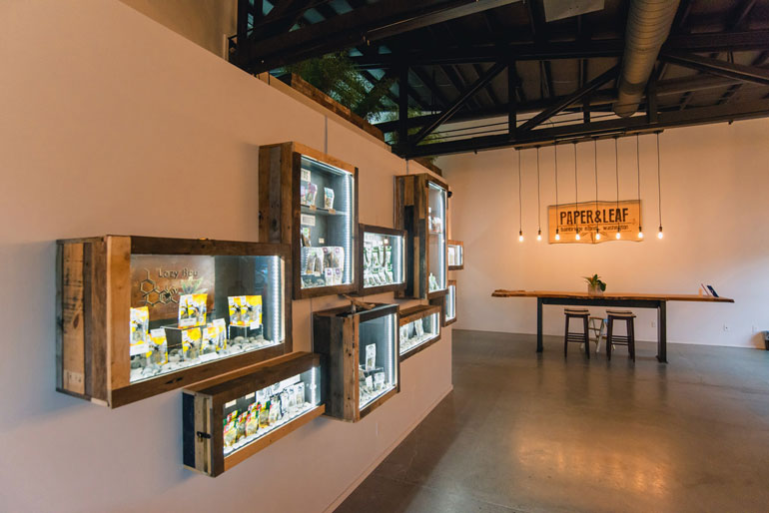 This feeling is made worse when you consider the typical dispensary characteristics: bars on the windows, frosted opaque glass, intimidating security guards and usually a less-than-desirable location usually off the beaten track. Last, because the concept is so new, there are many misconceptions and a general lack of awareness about available products. Luckily, strategic layout, interior design, and construction decisions can help alleviate some of these problems by making customers feel comfortable — leading to more dollars spent. When choosing where to plant roots (pun intended), be sure to choose a crime-free or low-crime neighborhood where customers — and frankly employees — feel safe. “Store experience doesn’t start inside the lobby, it starts in the parking lot. Is your parking lot clean? Is it well lit? Do people feel safe when they put their car in park and step outside on a dark night? Are your front door and windows approachable? 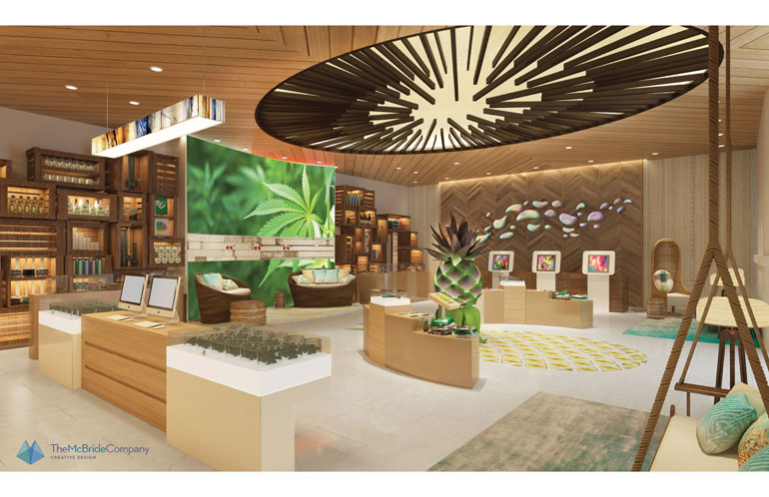 These are important visual clues that help the customer say, ‘I’m in the right place, I want to be here and I’m going to have a positive experience when I walk in the door,’” Megan Stone, full-time cannabis dispensary designer, told Leafly. Next, in terms of the actual space and shape of your real estate, prioritize width over length. 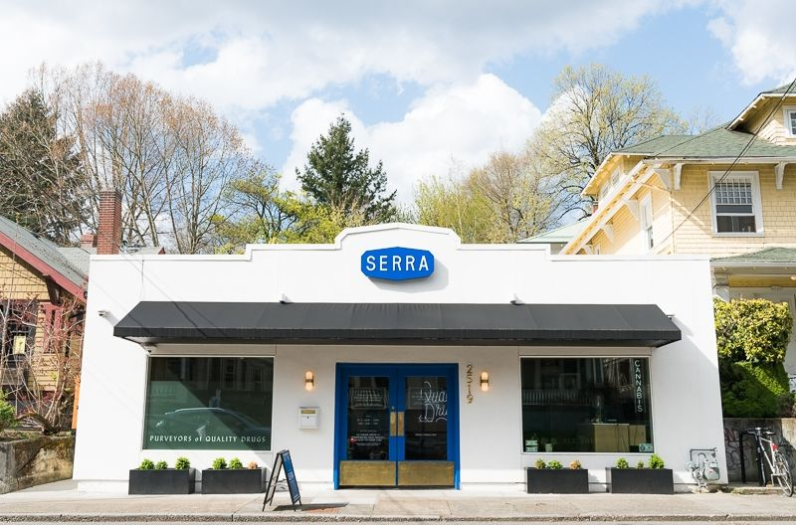 A horizontal rather than vertical building will provide you with a larger storefront with more space to create displays that can be viewed from the street by potential customers or even just passers-by. As mentioned above, it’s important to take into account both overall location and individual curb appeal. Next, start thinking about your customer’s first couple seconds in your store. What do you want them to see? Feel? Hear? 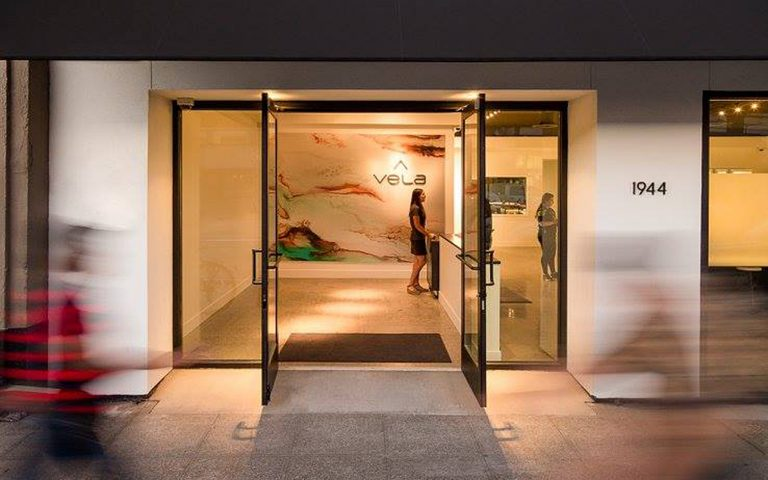 With that in mind, make entryways impressive and memorable, with things like murals or appealing branding displays. Additionally, consider a greeter (think: a host or check-in desk) who can welcome customers (“Were you looking for something specific today?” “Would you like someone to show you around?”) and help direct traffic to the right place or connect customers, especially first-timers, with the right employee. Keep in mind marijuana-shoppers are slow to purchase, especially considering these products tend to be relatively expensive. For example, the average Northern California dispensary visit costs between $60 and $120. For this reason, customers shouldn’t feel rushed to make a decision. Floor plans should allow for slow and steady customers, with the hope that longer browsers will become bigger spenders. The showroom should be designed with this in mind. This looks like: an open floor plan, lots of products on display in various locations around the store, shopping baskets so customers can carry multiple products (think like the grocery store) and natural light. Create a display of most popular items close to the entrance, so repeat customers can get in and get out. Some dispensaries have even created apps for pre-orders, where customers can place the order online and simply swing by to pick up and pay. What should go in this quick display? Well, this looks different for every dispensary, so take a look at your sales record for the past month to see which products are your best sellers. While you’re at it, check out this blog post to see the overall trends so far for the industry in 2018. From your security guards to your janitor to your budtenders, all employees should be in the customer service business, meaning everyone in the space can contribute to an overall positive experience for your customers. However, specifically knowledgeable and personable employees should act as the cornerstone to your business. Your best customer service team members should be out on the showroom floor, not behind a counter. This puts your employees and shoppers on equal ground, encourages conversation and questions, and makes customers feel more welcome. Salaried or commission-based pay structure is up to you, but in general commission-based structures incentivize employees to sell. Check out this Inc. article to view various compensation plans and pick which works best for your salespeople. Have a new product that isn’t popular yet but you think customers will love it? Create “add-ons”: feature displays in order to introduce customers to items they don’t yet know about. Also, think outside the box about how you display your products. “Traditionally, people like to put all the flower together in one group, all the concentrates in another, and all the edibles in another still. Well, why not create displays that are based on symptoms?” says Stone. Since almost all cannabis transactions are cash-based (due to federal regulations and limitations), make sure your customers feel they’re getting enough space and privacy while visiting point-of-sale stations. Some dispensaries have even created separate rooms for cash flow. “Especially for women, the act of taking money out of your wallet can be very vulnerable and feel exposing. This is particularly true in a cannabis setting where these purchases are often up to $100 or more. So a little bit of discretion and space to complete that transaction is a good idea,” said Megan Stone in an interview with Leafly. From the minute your customers step foot onto your campus till the time they get back in their cars and drive away, it’s important to put yourself into your shoppers’ shoes. Roxanne Szal is a University of Nebraska grad student studying Journalism and Mass Communications. She manages a blog at https://roxanneszalportfolio.wordpress.com that observes current issues on the forefront of not only journalism, but the world. Szal is a freelance blogger, content creator, and communications consultant ready to engage readers of all demographics with a thoughtful, clear and meaningful voice.